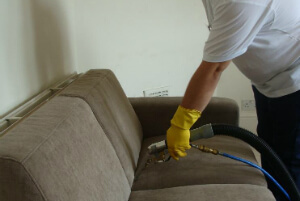 Dry, Steam Leather & Upholstered Sofa Cleaning Barnet EN | Quality Property Care Ltd.
Our expert team works fast and efficient, to book our services contact 020 3746 4287, combine book one or more of our treatments and get a lower price on your order today. All of our liquids are bio-degradable and leave no trace after the cleaning is done, making it pet and family safe. Our range of stain elimination capability matches our extensive experience in the filed, with available solutions for grease, blood and oily stains, food colouring, paint, animal fats, asphalt, nail polish, chewing gum, blood, tea, coffee, wine and vomit. If you order upholstery cleaning in Barnet EN from Quality Property Care Ltd. and another service you will receive a unique discount. We recommend you take benefits of mattress cleaning + bed bug mattress. Your bed hygiene is as important as your home sofa cleanliness and perfect look. The mattress procedure destroys and removes bacteria, dust mites, fungal spores and other harmful debris. It works with intensity ultra-violet light, and all debris and dust are gone. Be sure that we remove dust allergies for healthy measure of safety, because it can cause runny nose, asthma, depression, headaches, eczema and itchy eyes. Mattress cleaning offer is suitable for hostels, hospitals, hotels and everything that has beds. All cleaning agents used during our visit are bio-degradable meaning they have a low activity time, they clean and are then gone leaving no trace behind. This guarantees an allergen free sofa for the more delicate clients. The cleaning agent itself is anti-fungal and anti-bacterial depriving such life forms of their food and habitat making your sofa’s upholstery even safer. If available you can also take advantage of our same day booking at no extra charge, however, busier periods are less likely to have same day booking possibility. Use the booking form to book immediately or to get answers on questions. Call 020 3746 4287 to book a cleaning from our team anytime you need one, there are no restriction when to book.